Harbhajan was left surprised watching India slip from the comfort of 142/2, to reach 195/8, with Ali picking up four wickets. The sight of Indian batsmen giving wickets to Moeen Ali has left India spinner Harbhajan Singh unimpressed. Harbhajan, part of the commentary panel, sat comfortably as he watched India make steady progress before they imploded, and was left surprised watching the side slip from the comfort of 142/2, to reach 195/8, with Ali picking up four of those wickets. In an interview with Times of India, Harbhajan rued the dismissal of India’s batsmen, pointing out that he was expecting better from them. Harbhajan had a point. 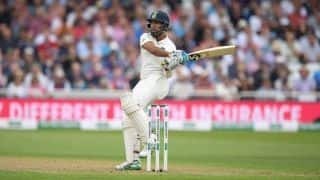 India had lost Rishabh Pant for 0 after the batsman had endured 29 painstaking deliveries. Once he left, Hardik Pandya walked down to Ali and dragged the ball to give Joe Root a simple catch at short-mid wicket. Two overs later, R Ashwin fell to an even horrible shot, against the run of play, attempting a reverse sweep, as the ball rolled back onto his stumps. It was almost as of Ali had turned the clock back to 2014, where he picked up 6/67 against the same opponent at the same venue. He went on to remove Ishant Sharma after a dogged stand between him and Cheteshwar Pujara for his fifth of the innings. When Ali was called back to the England side for the fourth Test, it would have hardly been any surprise as to who would cause India the most problems with the ball. 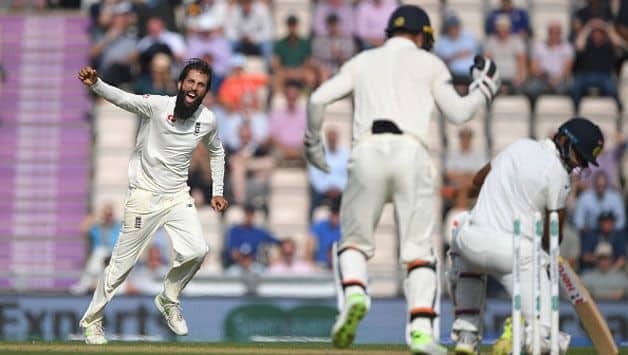 After frustrating India with a potentially game-turning partnership with Curran on Day 1, Ali celebrated his return to the England team with five wickets, nearly polishing off India’s lower order in the process. 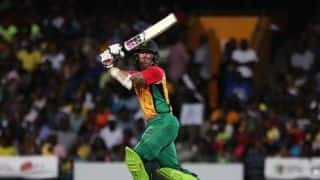 “He varied the pace beautifully and made the batsmen play all the time. The fact that there was a bit of rough outside the off-stump created by Ishant’s footmarks helped his case as well,” Harbhajan said. The last time India visited England, Ali had taken 19 wickets against them, and crucial ones at that. This time, save for Pujara and Jasprit Bumrah’s defiance, England were looking at an important advantage in the Test match.